On December 5th 2013, I went from being an SLP who treats other mom’s children to an SLP who watches her own child develop language skills: I turned into a mother! 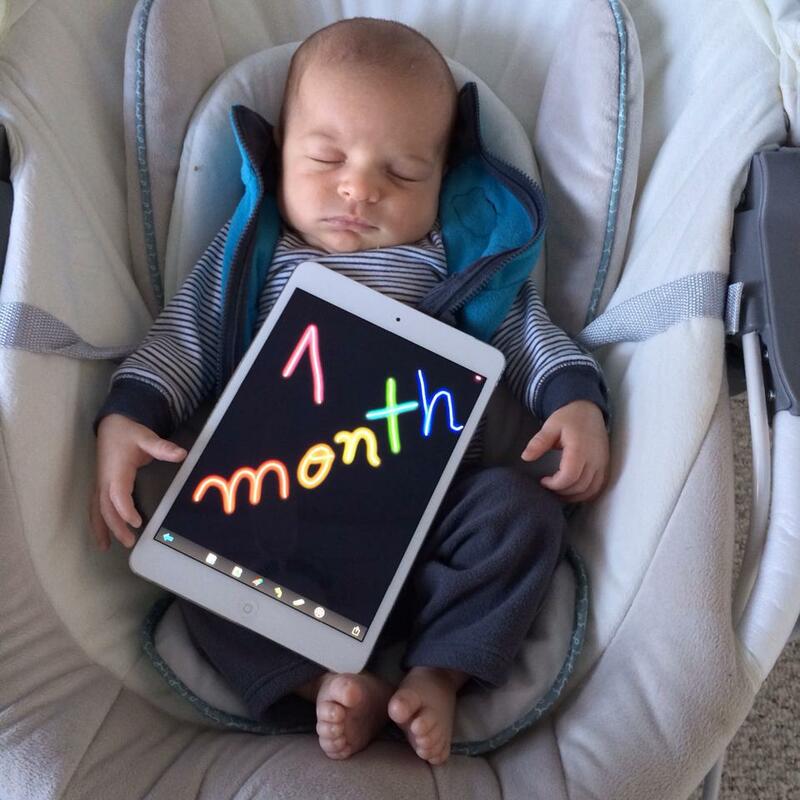 My precious little one, named Victor is now two months old and the focus of my online time has taken a new route. 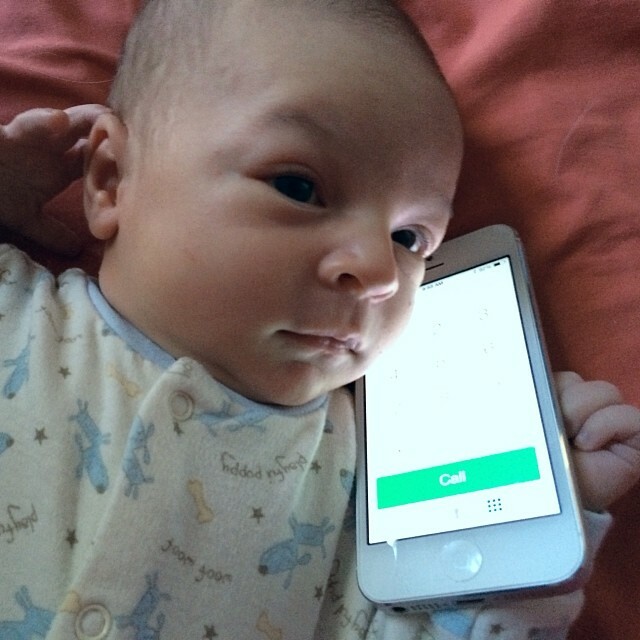 I have an amazing baby boy now, and my technology time for the last several weeks resumed to holding my iPhone with one hand while breastfeeding my baby to search things like “ how often to breastfeed”, “ my baby has not pooped in 4 days, is that normal?” or to post photos of him to family and friends on Facebook. For the first few weeks, when he was little and slept most of the day, I was able to get a couple things done on the computer while keeping him close to me. Now he is “big” and “ active” so this trick no longer works. In a profession where the vast majority of us are female I know I am not alone in the balancing act of being a mother and a professional. I remember attending a session at the TSHA convention last year where someone mentioned my blog and with that she said “ her website is so full of content, this girl must not have any children”. oh boy, she was right! Time is something I learned I don’t have and probably won’t have much of for several years to come now. I am so grateful to have had a child in an era where technology can help me manage my time, care for him and even serve as photo props. Just like I use to say “ how did people live without iPads! ?”, now I say “how did people raise children without technology!?”. From baby monitors, to simple noise machines! 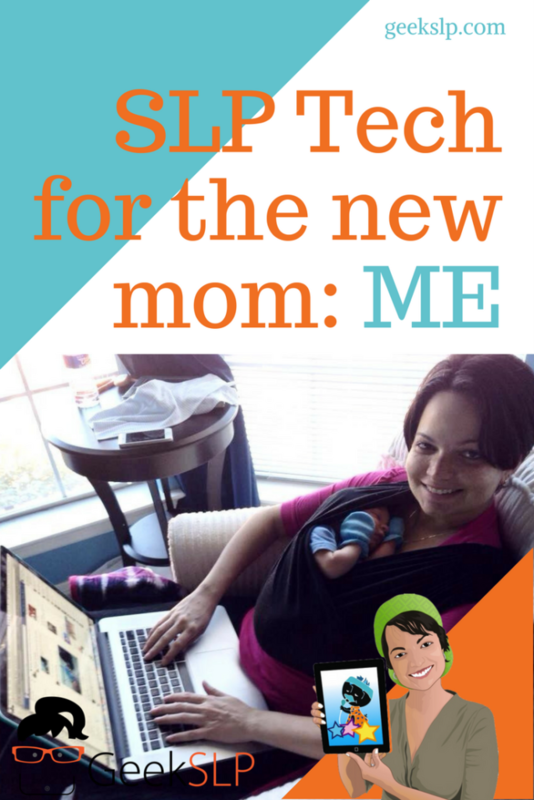 Technology has saved my life and sanity as a mother without a mother or any family nearby. I know I am exaggerating, but I am so glad for baby monitors that allow me to type this post while he sleeps in his bedroom. Take photos of my baby & selfies of course! 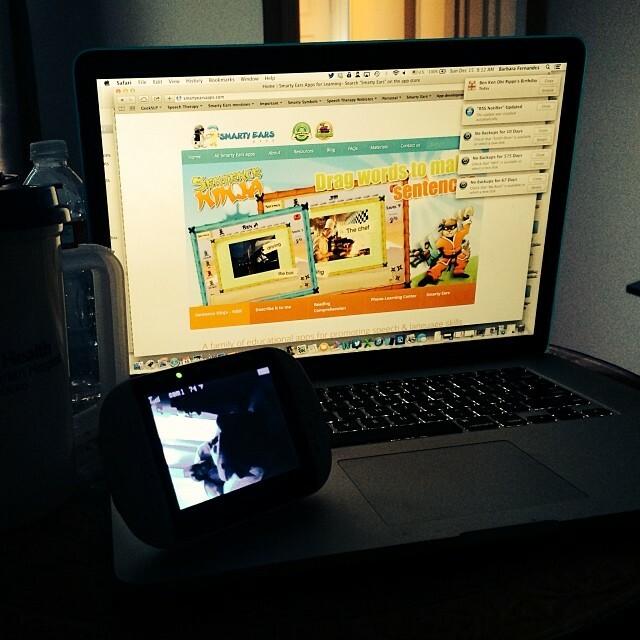 This week I plan on watching a webinar on my phone too! If my breastfeeding sessions last me 15-30 minutes, I can probably get a lot of continuing education done via my iPhone too! I guess this would be a much better user of my time than scrolling through people’s Facebook newsfeed. 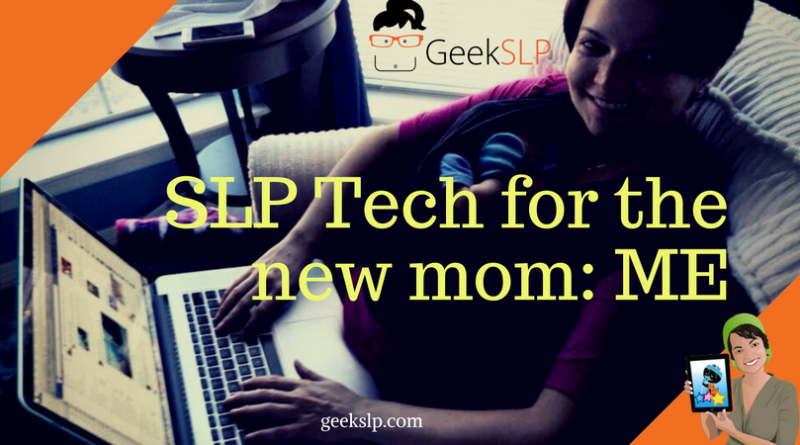 The iPhone is so convenient for busy SLP moms! The iPad is just too big to hold while holding a baby at the same time. My iPad has been used more as photo props than anything else these days. I just wish I could manage to type things on the iPhone. Now that would be an accomplishment! I have also noticed that many of the “baby products” I have purchased or received from friends could also be used by speech-therapists or parents to promote language in older kids. I know I will probably be posting some reviews of these products I will be using with my boy over the new few years. For now it is time for me to go back to my boy and cuddle a little more with him while I can. I will be resuming my presentation schedule soon and watch out for the one boy in the room! Thanks Maryann! I know it does fly by. He is already 14 weeks old. Congratulations Barbara! I’m so pleased for you. What a lovely looking little man! If forming a business was satisfying, rewarding and all consuming, you are going to find even mor reason to be proud and happy in this new creation of yours. Being a dad for already almost 2 years, with a great little girl, I am sure you will enjoy being a mom 🙂 And I will soon know about having a baby boy too !!! I am careful though about protecting them from too many micro waves (wifi, smartphones and so on…). But we are a bit “old school” and we wouldn’t mind not having mobile phones, so I guess it’s easier for us !! !